If you like medals, you'll love the top moments from Wednesday at the Paralympics. Selfie time in Rio! 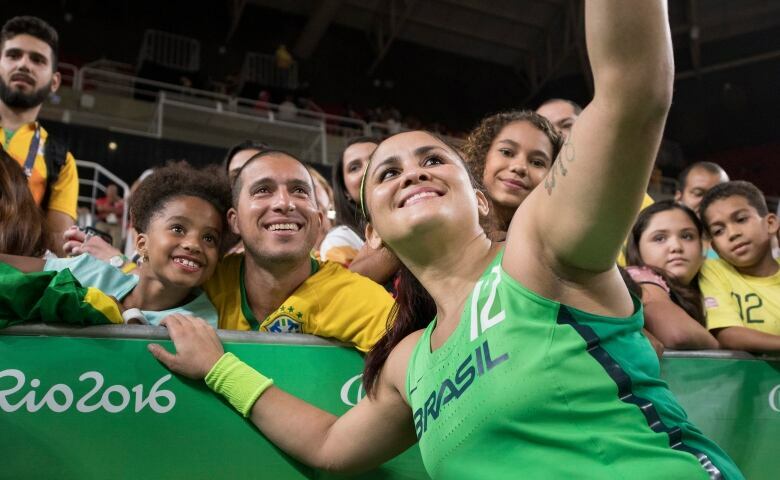 Brazil's Lia Martins poses with fans after her team's wheelchair basketball querter-final loss to the United States. 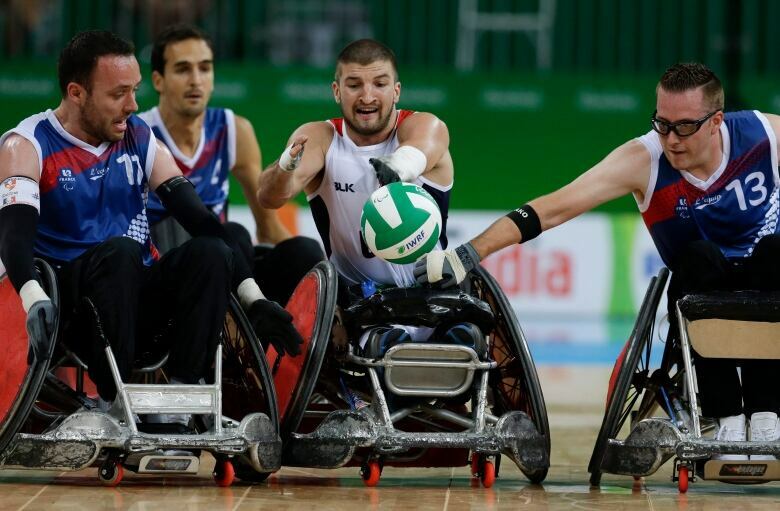 American Kory Puderbaugh, centre, fights through a forest of French players during a wheelchair rugby game. 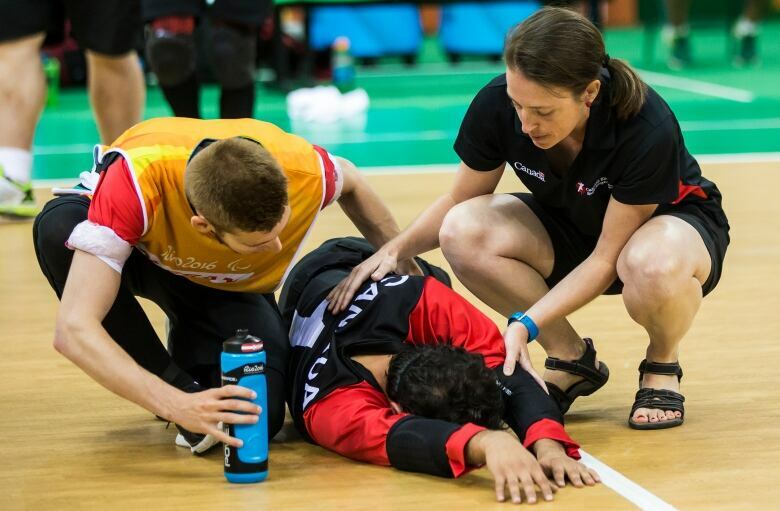 Bruno Haché is consoled after Canada's double-overtime loss to Lithuania in the goalball quarter-finals. An emotional Alex Zanardi is interviewed after winning gold in the men's time trial H5, nearly 15 years after losing his legs in an auto racing crash. Canada's Katarina Roxon embraces Ireland's Ellen Keane after Roxon won gold in the 100-metre breaststroke SB8.